Thanks, Cee! These color challenges are really fun! You can’t beat the garden for inspiration! Great presentation of beautiful flower photos. Thank you, Marianne! 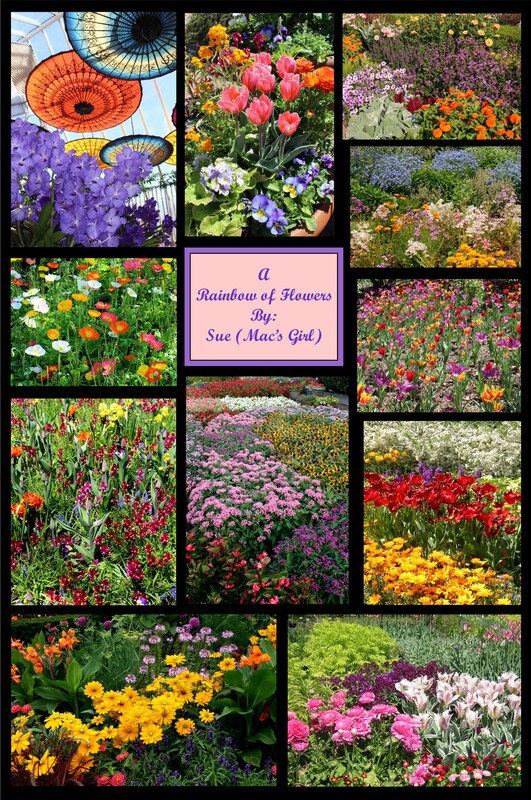 It was surprisingly difficult to find pictures of flower beds with four distinctly different colors. Most of the gardens that I’ve seen, although very colorful, are usually quite color-coordinated and rarely feature more than two or three colors together. Thanks, Tom! I always enjoy going through the Garden pictures as It’s about the only color we’re likely to see for some time to come. The Nature of Things…well said! Yes, vibrant, captivating and beautifully captured & presented! Thank you so much! And thanks for stopping by and commenting.